Good oral health is critical to overall wellness, and that’s why it’s important for your whole family to receive regular dental checkups and cleanings. Kozica Dental provides a comprehensive selection of general dentistry services to help your family maintain healthy, beautiful smiles. We’re dedicated to making every patient, whether they’re 2 or 92, feel safe and comfortable. We offer a complete solution for oral health care, including routine checkups and cleanings, cosmetic treatments, and emergency dental services. We welcome patients of all ages. Dr. Kozica and his team offer a gentle and nurturing approach, delivering pediatric services for children as young as 24 months. We use safe, non-invasive techniques to minimize discomfort during common procedures, such as fillings, extractions, and root canals. Whether your dental needs are urgent or cosmetic, we can help you enhance your smile and improve your oral health. Gain confidence in your grin with our state-of-the-art cosmetic treatments, including bonding, veneers, and whitening. We’ll help you protect your teeth with custom-made nightguards and mouthguards for sports. As a qualified Perio Protect provider, we offer effective non-surgical options for periodontal treatments. Our goal is to make every dental visit as relaxing and pleasant as possible, whether you're a new patient or one of our regulars. We are one of the only Worcester-area dentists to utilize laser treatment, and we employ computer-controlled anesthesia instead of traditional shots to further minimize discomfort. Our warm and knowledgeable team explains everything in easy-to-understand language so you can play an active role in your oral health and general well-being. There's no reason to dread the dentist’s office when you visit Kozica Dental! Whether you’re here for general dentistry procedures or cosmetic treatments, we’ll make your time with us as comfortable as possible. 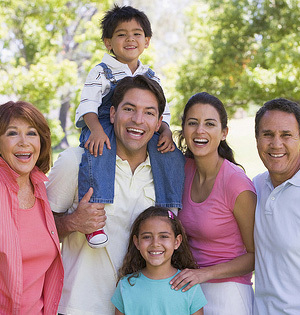 Fill out a form or give us a call today at (508) 755-0751 to schedule appointments for your entire family.